Tracy has loved all things beauty since she was a child. At Coty she revels in the opportunity to combine this passion with her expertise in international marketing and strategy. What makes you so passionate about beauty? I’ve had a deep rooted love for beauty since I was a little girl. I knew that I always wanted to go into this industry. No matter your shape, race or budget, you can throw on a red lipstick or paint your nails purple, and have that Hollywood transformation moment. Beauty is confidence applied directly to your face. What do you find most fulfilling in your career at Coty? Coty is always looking to grow with strong ambitions and to be top in the markets we play in. I’ve been always encouraged to do better at every opportunity and told that there are no boundaries to creating new ways to engage and inspire our consumers. One of my new team members once commented after being at Coty for six months, “What I have learned here in the first few months is more than what I learned at my previous company in a full year!” Coty is committed to creating career opportunities for employees and liberating the career progress of its talent. We’re still building up a strong local team that will chart the growth in China. Culture and people will set us apart from our competitors. Our culture is still taking shape and we need to continue to fully embrace Coty Values, to infuse disruptive thinking and action into everything we do and to show our resilience at every level. 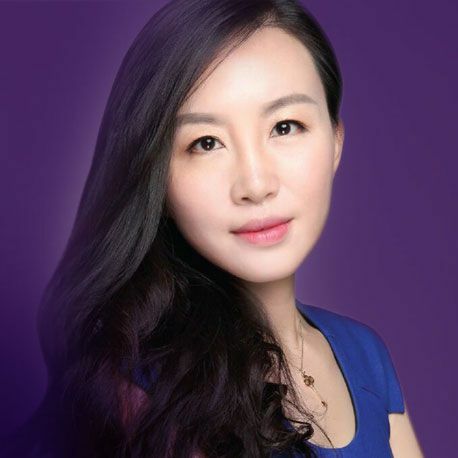 As Founders of the Consumer Beauty Division in Greater China, Coty’s future is in our hands. Being part of a unique journey and the start-up mindset, is a rare and unique career opportunity for each team member. I can imagine when we look back one day in the future, this journey will be a recognizable chapter for everyone’s career path. A woman is most beautiful when she smiles. Other than that, my must have beauty product is lipstick. Even if you have on no other makeup, you’ll look put together, and in turn feel put together. Trying out a new lip color means getting to have a whole new look to play around with. There’s no end to the possibilities! A tip to create the illusion of a fuller pout: use the shade of your choice all over the lips then take a slightly lighter shade – from the same color family – and dab it on to the center of the lips.